The tour starts at 7th and E Street NW. If you are 21 or older, hop on the rickshaw, sit back and relax while sipping vino or bubbly (BYOB) while seeing a variety of the sights and sounds that locals love. Venture off the Mall and away from the Monuments, discover the true Washington, DC! 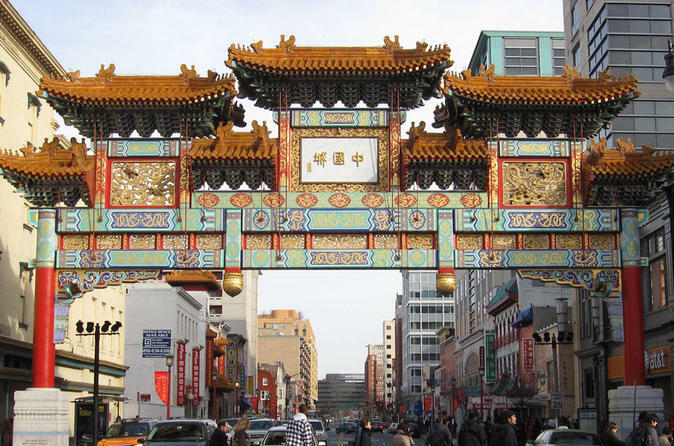 Highlights of this 40 minute pedicab tour include: Cruising through Penn Quarter, Chinatown, and Metro Center areas. Pass by the Newseum, Crime and Punishment Museum, Portrait Gallery & Verizon Center (Home of the Washington Wizards NBA Team) Visit 7th Street, and the Friendship Arch And much more!